Need I say more than Chanel Rouge Coco Shine? Well actually, it wouldn't be a very good post if I did say anything else, but I am going to keep it quite simple. 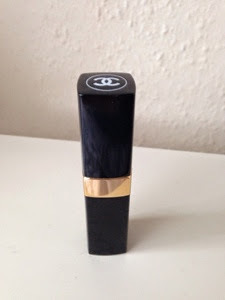 I bough this lipstick as my first "high end" brand a couple of years ago when I was in Madrid and never looked back. I love colours that are subtle to wear, I'm not confident enough to pull off a bright red lipstick so I like to keep things simple and have a subtle hint of colour, a bit flirty almost. 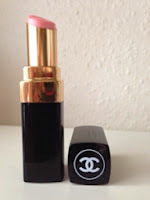 The shade is Candeur and you can buy online at Boots Here - look for the palest shade on the link and that's Candeur. 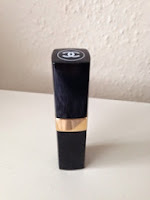 This is one product, I continue to buy ever since I first discovered it, the way it applies is really smooth, light and doesn't dry out my lips like others. I love it even more in the Spring, it's girly and soft. It's actually a lot sheerer than what it photographs, it really is a delicate shade but I love it! I wear this almost daily at the moment, it's so nice to just add a touch of colour when I'm going to work or when I'm popping out for drinks. 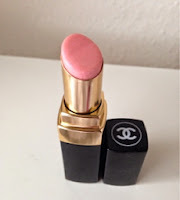 I will admit it is on the slightly pricier side at £25.00 but would you really expect anything less from Chanel? Have you tried anything from Chanel's Rouge Coco Shine Lip collection?